Thanksgiving is an organizational nightmare. To the first issue: there's almost no overcoming the "expectations" challenge, unless everyone around the table has had similar lifelong Thanksgiving experiences. 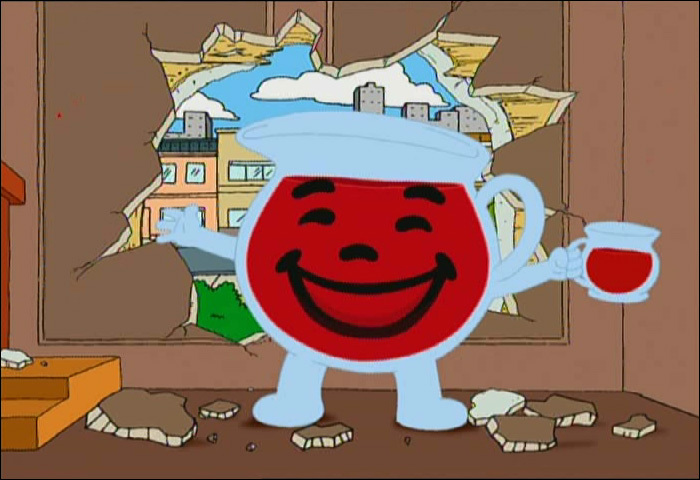 So, instead of leaping over the hurdle, I say bust right through like the Kool-Aid guy crashing through a wall. Instead of being subtle and mixing recipes up just a little, do something different enough to circumvent expectations. No, I'm not going to provide you alternatives for every dish, but how about we start with one strategy you can employ with the Turkey? NOTE: I say "Turkey" with a capital "T" (which rhymes with P which stands for pool) because Turkey is the centerpiece of any (non-vegetarian/alternative) Thanksgiving. Have you ever seen a Thanksgiving spread without a shining, golden, monumental KING Turkey perfectly centered among the sides? Anyway, one still-impressive but rather easy way to jazz up the Turkey is by herb-roasting a few breasts. I suppose this only works if you're feeding people who tend to prefer white meat; however, the method I'm about to elaborate includes a little dark as well.